Look no further because we have the best selection of spray bottles and foamers for all your industrial, chemical, and personal needs. You can find the ideal plastic bottles and other containers paired with pumps, dispensers, sprayers, trigger sprayers, spray guns, refillable aerosols, caps, and taps for your picky preference. Our specialty spray bottles and foamers are only made of the best quality plastic material that guarantees high versatility which is perfect for a wide variety of uses. Our foamer bottles and pressure sprayers don't absorb water or deteriorate over a period of usage. If handled well and carefully, they are unlikely to shatter or break. Their lightweight and flexible qualities enable them to be of service for a long time. The combination of our sturdy bottles and foam pumps will amaze you with its ability to produce foam without using any chemicals or aerosol of some sort. It's not only perfect for your hand cleaning products, but they can also be deployed for containing hair dye, body cleanser, hair mousse, tanning products, cosmetic creams, and a whole lot more. We also have the finest trigger sprayers and spray nozzles that will make any job easier and more convenient for you to do. 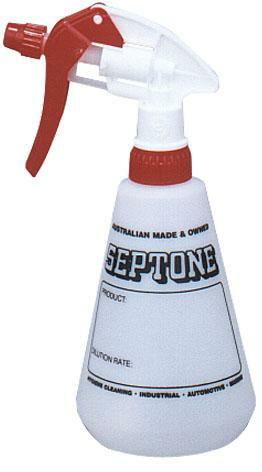 Not to mention the better results you get when you use these spray bottles even for chemical dilutions! We have these bottles in various sizes which means you can use the smaller ones for dividing liquid products that you've purchased in gallons or liters. You can find ample of uses for our sprayers, bottles, and pumps that you can find among our vast collection.